Video games FarmVille and Guitar Hero along with streaming video service Netflix are all inbound for Apple's iPhone, the company announced at today's WWDC event. Wait--Netflix movies and TV shows on your teensy iPhone? Don't tell David Lynch. Don't tell your cell phone provider, either. With monthly "fair access policy" transfer caps snarling cellular plans, the success of a bandwidth-gobbling streaming video service seems less than assured. Then again, word is the iPhone interface won't cost a penny extra for existing Netflix users. You'll be able to stream anything available through Netflix Watch Instantly, poke around in Netflix's video database, organize your viewing queue, and--best of all--start then stop a video on your TV and pick up where you left off on your iPhone (the reverse holds true, presumably). When? This summer, says Netflix CEO Reed Hastings. 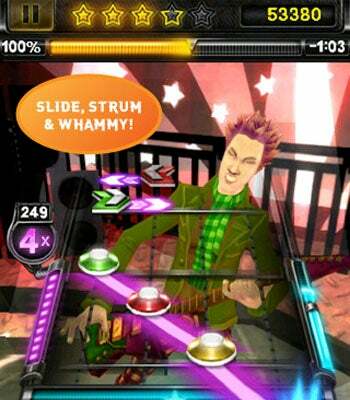 Zynga's virtual tend-and-cultivate sim should show up on the iPhone sometime before the end of June, while Guitar Hero is available for both the iPhone and iPad $2.99 immediately.